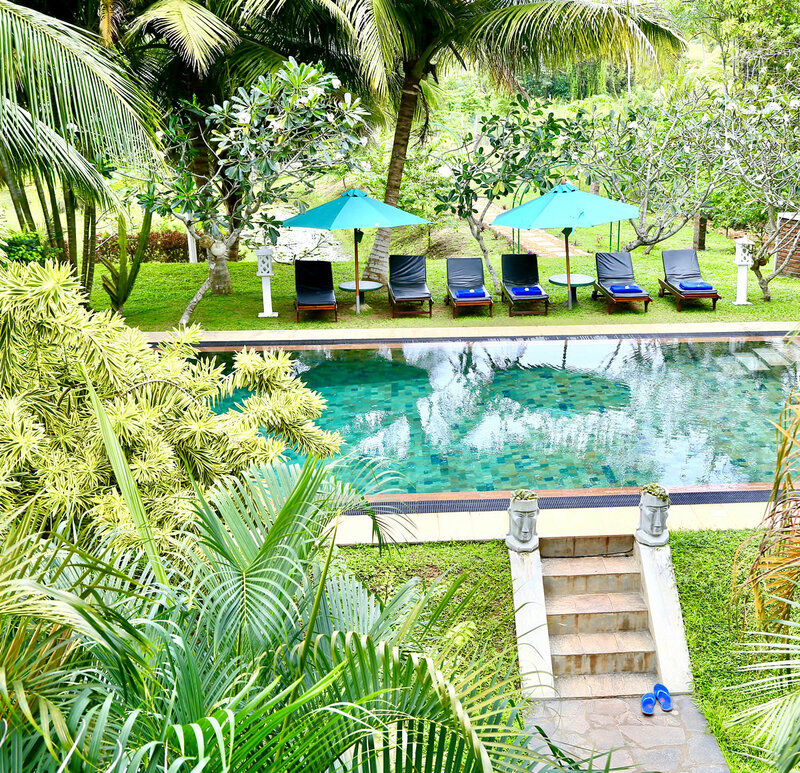 We are delighted to invite you to our home on the beautiful island of Sri Lanka. Shangri La means 'earthly paradise'. Sri Lanka means 'resplendent land'. Together they make Shangri-Lanka, which to us simply means 'home'. Shangri-Lanka offers a holiday experience with a difference. No hotel receptions, no standard packages, no crowds of other guests, no time restrictions. with all the facilities you need whenever you need them. » Experience the culture of authentic Sri Lankan village life, where ancient customs and traditions blend with modern amenities and services. » Enjoy the sights and sounds of nature, especially the abundant birdlife. See kingfishers, woodpeckers and monkeys from your bedroom balcony, watch the egrets, honeyeaters, buffalo and many other species in the nearby fields. » Relax by walking or swimming at the fabulous Bentota beach, just 5 minutes away. Palm trees, warm Indian Ocean, clean, un-crowded sands, everything! » Pick out perfect devil's mask in Ambalangoda mask museum. » See the coral in the morning, lunch on the beach and surf in the afternoon at Hikkaduwa. » Spend some time at Bevis Bawa's Brief Garden, and enjoy this horticultural masterpiece of nature and man. » Ride through the surrounding countryside and see paddy fields, waterfalls, temples, tea, rubber and cinnamon plantations.